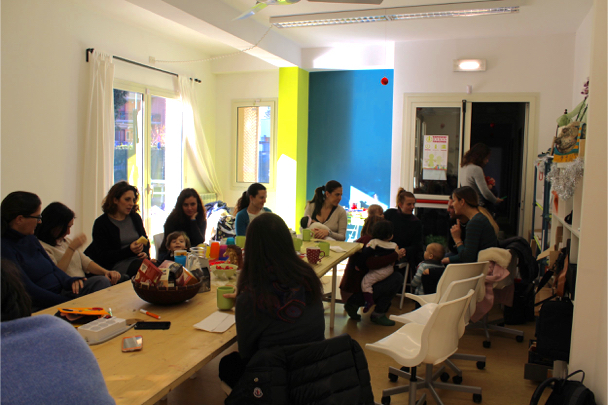 L’Alveare​ is a co-working space in Rome that integrates a kindergarten, in order to allow parents, especially women, to return to their freelancing work with small children. In 2013 their project was awarded by Italia Campo and Unicredit as well as the Coopstartup​ that allowed them to transform the organisation into a working cooperative. The co-working space and kindergarten, operating in a municipality-owned space, also accommodates lectures, trainings and workshops. L’Alveare is part of CoRete, an emerging network of co-working and collaborative spaces in Rome​, aiming at improving the working conditions of freelancing professionals and their acceptance in the city. Community, Economy, Rome , co-working, community, freelance, welfare.